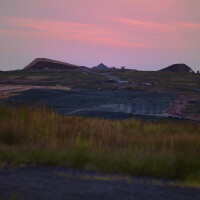 In a collaborative effort, Freshkills Park, Parsons School of Design, and Arable Labs are collecting environmental data at the landfill-to-park project and interpreting that information for artistic pursuits and public education. 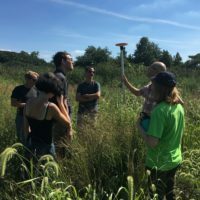 The transdisciplinary “Sound the Mound” project uses remote sensing and GIS technologies developed by Arable Labs to create a sonic engagement that provides both land and data readings such as rainfall, microclimate, and sunlight within the evolving ecology of Freshkills Park. 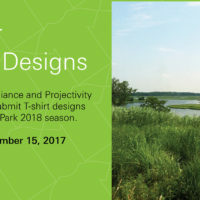 Back in October, we teamed up with Projectivity to request Freshkills Park t-shirt designs for the 2018 season of programs and events. 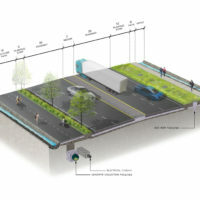 We received nearly two dozen submissions with a range of creative interpretations on the call for designs. 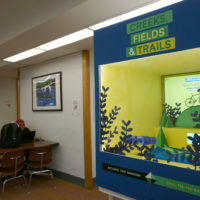 The contest judges were Director of Projectivity Christian Penn, art consultant Monica Valenzuela, and Deputy Director of Public Art for NYC Parks Jennifer Lantzas. 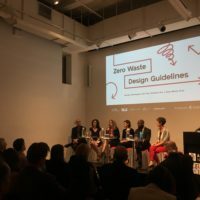 As part of Archtober, new Zero Waste Design Guidelines were launched at the Center for Architecture on October 18. 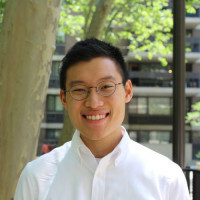 The Guidelines are an initiative of the Center for Architecture, in collaboration with the AIA New York Committee on the Environment, Kiss + Cathcart Architects, ClosedLoops, and the Foodprint Group. 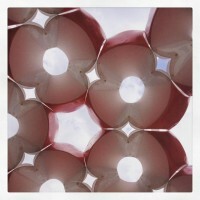 The selected image will be screenprinted on a white short sleeve tee. 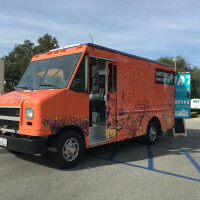 The image must be a 2-3 color single image digital file (.jpg, .png, .tiff or PDF), saved in file format: “lastname_tshirt_entry.file”. 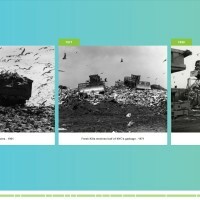 The Fresh Kills Landfill was the largest landfill in the world before it closed in 2001. 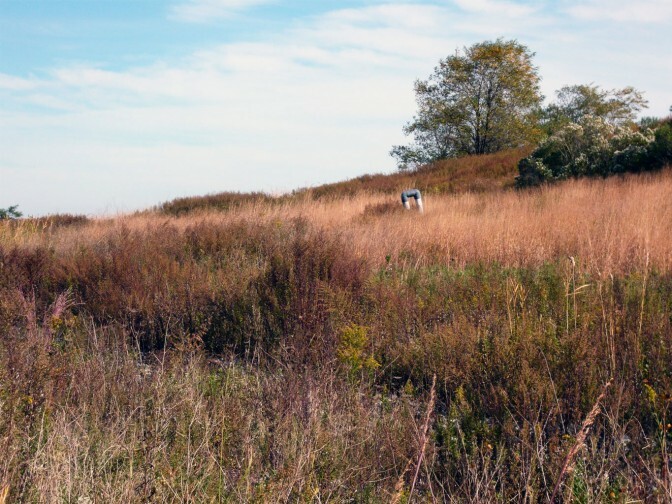 Written by Savannah Lust, Freshkills Park Development Intern. 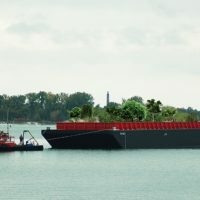 Bok choy and mint are ripe for the picking aboard Swale, Mary Mattingly’s floating food forest project that is docked at Yankee Pier on Governor’s Island until September 15th. 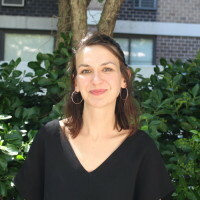 Mary Mattingly is a New York City based visual artist who proclaims in her Manifesto that “art and utopian thought” are capable of cultivating “systematic social change.” Mattingly locates her work in the impugning of “predominant ideologies,” particularly systems of exchange and waste production. 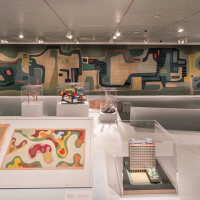 On view at The Jewish Museum, NY, is the first US retrospective of the seminal landscape architect Roberto Burle Marx. Entitled “Roberto Burle Marx: Brazilian Modernist,” the exhibit is curated by Jens Hoffmann and Claudia Nahson and is on view through September 18th.The exhibit shows the breadth of Burle Marx’s artistic vision, his designs for jewelry, tapestries, sculptures, and drawings. As the National Park Service celebrates its centennial, the organization has identified a major problem: a shocking lack of diversity. 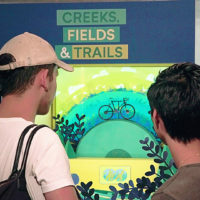 Parks are finding it hard to attract young visitors and visitors of color. 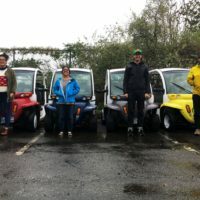 According to a recent National Park Service survey, Hispanic visitors make up 9% of total visitors, Black visitors 7%, Asian visitors 3% and Native American/American Indian visitors 1%. 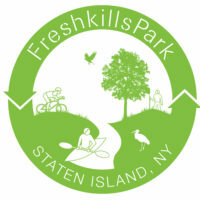 NYC Parks and the Freshkills Park Alliance have issued a Request for Qualifications (RFQ) for skilled designers to develop a digital project that will engage New Yorkers across the five boroughs with the evolving Freshkills Park on the west shore of Staten Island. 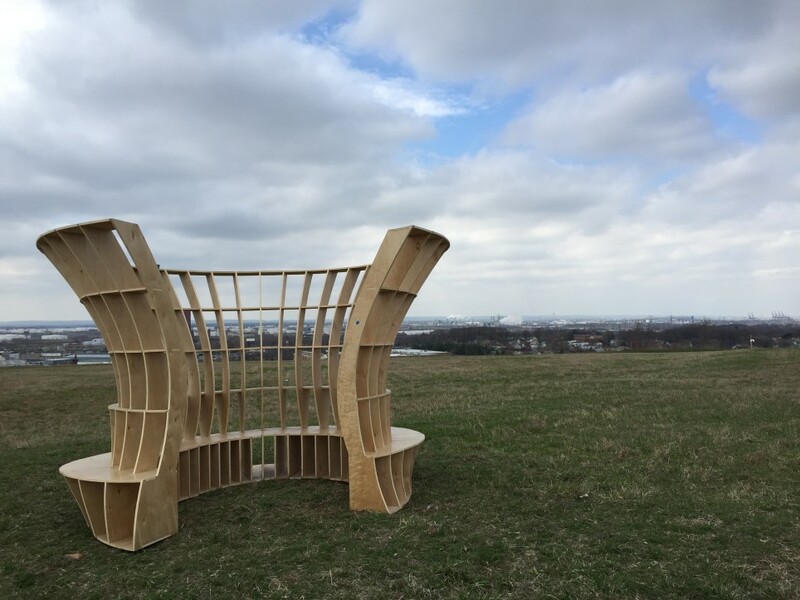 Freshkills Park is a big fan of temporary structures. 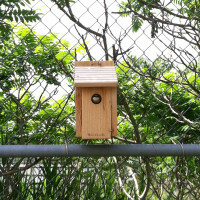 As a site that’s only open for public events a few days each year, it’s really valuable to have materials that can be stored, assembled, dismantled, stored, assembled, and so on.